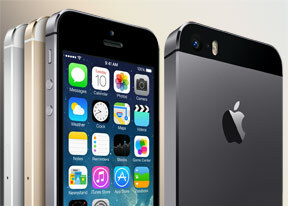 Every new iPhone 5s offers you iPhoto and iMovie powerful Apple apps for free. The iPhoto allows you also to organize your photos by albums and events and you can even create journals - collages of photos you can share via iCould and make it visible to anyone. The iPhoto app has richer editing options than the standard gallery, but its UI needs to be updated to match the iOS 7 looks. Not it just looks ... retro. Apple smartphones have never disappointed when it comes to audio quality and the iPhone 5s makes no exception. 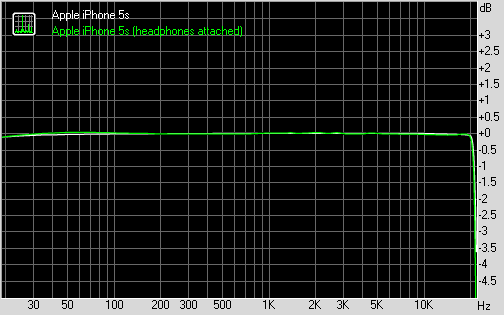 In the active external amplifier part of the test, the iPhone 5s did perfectly and even outdid the iPhone 5c with lower stereo crosstalk. Its volume levels were just as high as on the 5c, which makes them one of the best in business, second only to the HTC One and Butterfly. The second trial produced equally impressive scores. The iPhone 5s again managed to beat its lower-tier brother by the virtue of its better stereo and was overall as close to perfect as it gets.